Consumers might not be getting their hands on the new Samsung Galaxy Nexus until November, but developers can prepare for the new Ice Cream Sandwich right now. Google has posted the software development kit on the Android website for anyone and everyone to begin using. For non-developers, this means that as soon as you get a Galaxy Nexus or another Ice Cream Sandwich phone, apps that take advantage of the new OS features should be available. Google showed off some of these feature in its Hong Kong event, and boy are they plentiful. As far as API calls go, phones sporting NFC chips can share almost anything automatically with the Android Beam feature. Developers can integrate Beam into their own apps. The new contacts view, “People,” will pull together information from any social network that supports it. And the new notification system will allow users to instantly access apps from the homescreen or dismiss the notifications with a swipe. We spotted some exciting new sensor capabilities in the 4.0 SDK release: temperature and humidity sensors. These should be a godsend for weather apps, which will no longer need to rely on remote thermometers or barometers to display local weather info. 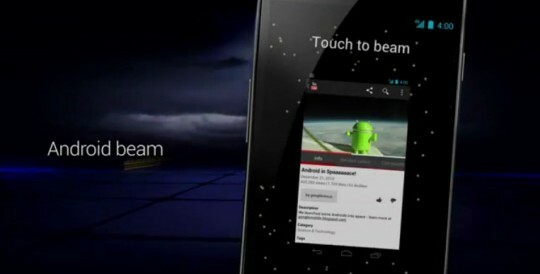 The unified code of Ice Cream Sandwich should make developing cross-compatible apps for tablets and smartphones easier than ever. The download is available now from the Android Developers website.